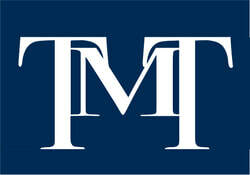 The Law Offices of Tommy M. Troncoso is a personal injury law firm based in Van Nuys, California. We represent and fight for the rights of people who have been injured or harmed due to somebody else's negligence and families who have suffered the death of a loved one due to somebody else's negligence. We only represent people, not large corporations, government entities or insurance companies. Our goal is to provide high quality legal representation to people regardless of their wealth, race, color, gender, sexual orientation or religion. We believe everybody should have the same access to high quality legal representation as the rich. With that in mind, we take cases on a contingency basis, which means that you only pay us a fee if we recover money in your case. If we do not recover any money in your case, you do not owe us a penny in legal fees. Call us today at 818-988-7300 for your FREE case evaluation. Or you can fill out our FREE online Case Evaluation Form and a member of our firm will contact you to discuss your case.